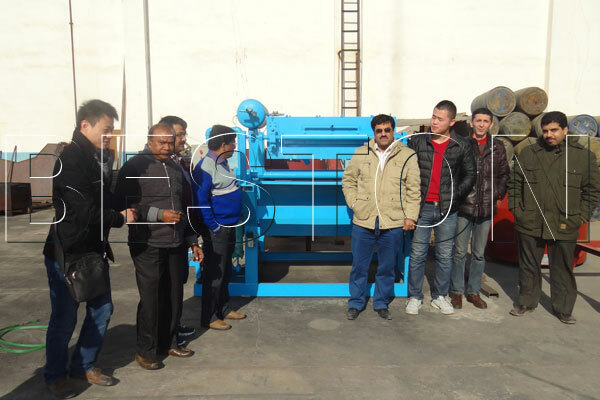 Egg carton making machine is used to produce paper egg carton. We Beston Machinery, professional one of egg carton making machine manufacturers, can provide different model, such as BTF-1-3(1000pcs), BTF-1-4(1500pcs), BTF-3-4(2000pcs), BTF-4-4(2500pcs), BTF-4-8(3000pcs), BTF-5-8(5000pcs), etc. 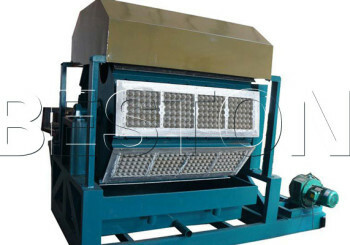 These egg carton making machines have superior quality and favorable price. If you have an interest in our machine, please message us. The egg carton machine uses the waste paper to produce paper egg carton, like corrugated paper, book, old magazine, old newspaper. Therefore, adopting this kind of machine will greatly reduce environmental pollution and save non-regenerated resources. To achieve the environmental friendly goal and comply with the trend of times, many enterprises begin to invest paper egg carton industry. If you are keen to establish a paper egg carton or egg tray industry, we can provide small-sized, medium-sized and large-sized egg carton production line for sale and egg tray machine for you to choose. We sincerely welcome your consultant. 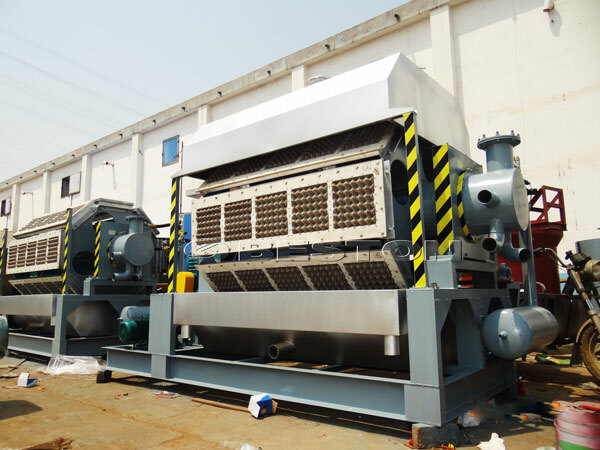 The first step is raw materials pulping: put different kinds of waste paper into egg carton pulping machine, and add water to form egg carton pulp, which gives these waste paper a second life. Next, the pulp is screened to thin fibre by the screen machine. After screening, we need to adjust the pulp consistency to a suitable toughness. 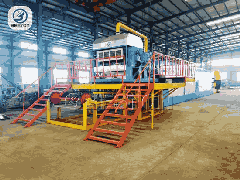 The second step is egg carton forming system: fine egg carton pulp is transported to egg carton forming machine. At the same time, the water is recycled to make pulping again, which won’t cause environmental pollution. The third step is that these wet egg cartons need to be delivered to drying process. In accordance with material and size of the dryer, you can choose to use coal, diesel or gas as fuel to provide warm wind. Warm wind ensures the dryness of egg cartons. 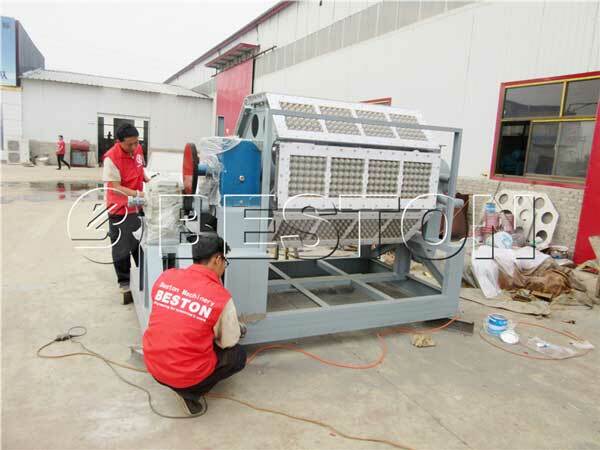 After drying, the process of making egg cartons finishes. Finally, egg cartons are packed and delivered to market to achieve their real value. In the paper carton and egg tray manufacturing process, you can add two additives. The first additive is the pigment which you can use to produce all colors of egg cartons. The second additive is the glue which has the anti-water function. When you use additives, you should pay attention to the appropriate proportion. It is unnecessary to worry about proportion, because we can provide technical advice for you. Paper carton process is similar to the process of making egg tray. Using different mould can make different end products. You can replace the mould of egg carton forming machine for sale to produce other kinds of products, such as egg tray, apple tray, shoe support, cup tray, bottle tray, etc. The major special point is the mould. We Beston Manufacturer provide egg tray mould, egg carton mould, fruit tray mould and shoe tray mould and so on. So, you can also call the machine: apple tray making machine, etc. What Drying System Do You Need? 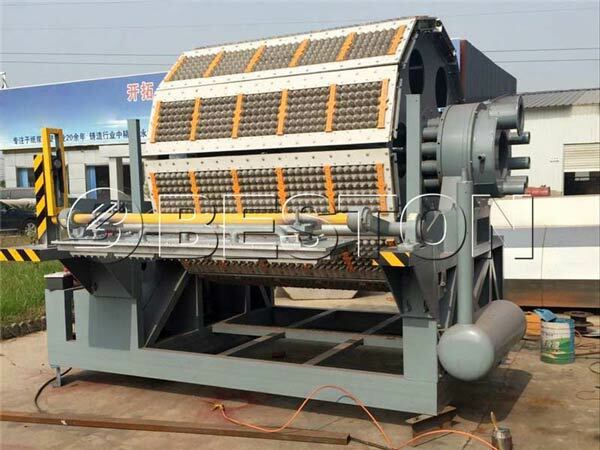 We provide three egg tray drying system for paper egg crate making machine, namely, drying in the sun, semi-automatic drying system and automatic drying system. 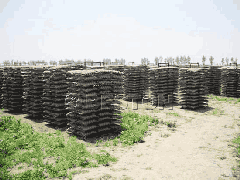 Drying in the sun requires some environmental condition, and needs a few labor force to work. Because it don’t need large machine and fuel, so its cost is relatively low. 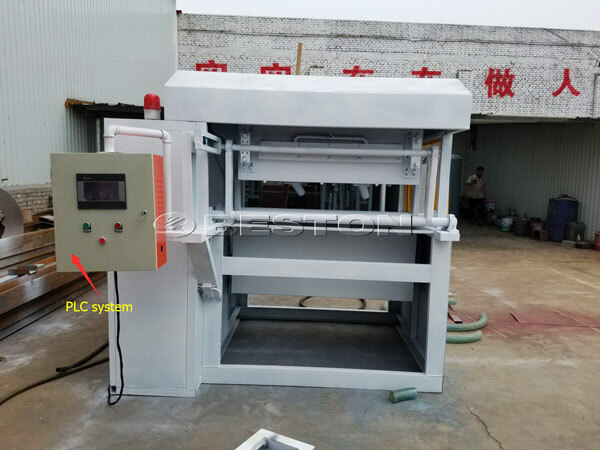 Certainly, you should know that this type of drying system is just suitable for small carton machine and manual paper egg tray machine, such as BTF-1-3(1000pcs), BTF-1-4(1500pcs). Semi-automatic drying system needs people to push wet egg trays with the small cart into drying system. In the drying room, the extra water will be evaporated. Automatic drying system is complete automation. In other words, it is able to work without extra worker to handle. Therefore, it is convenient and manageable for you. You can use it when you run automatic egg tray forming machine. 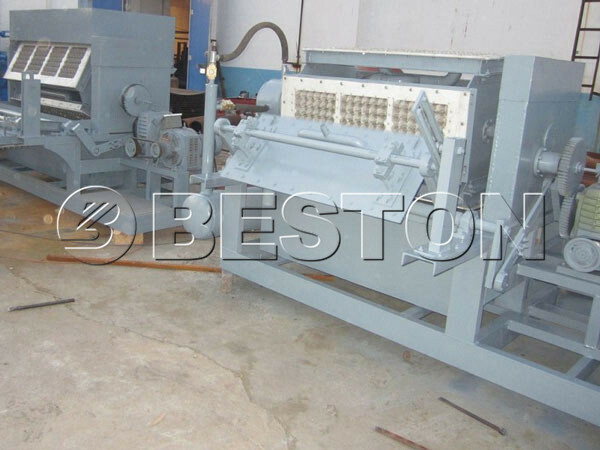 What Are the Advantages of Beston Paper Egg Carton Making Machine For Sale? 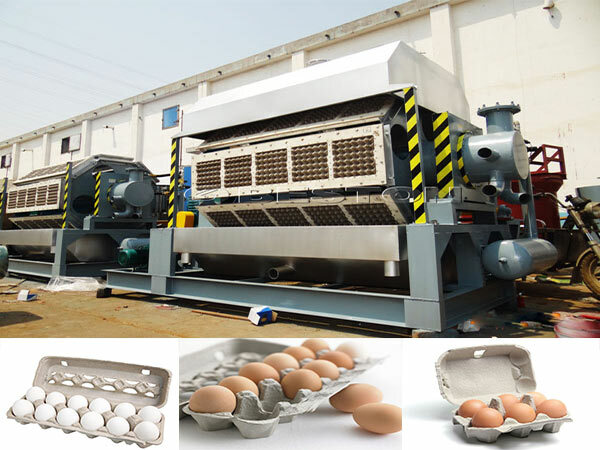 The egg crate machine adopts superior parts which has long service life. Widely application. Just replace another mould of egg crate machine for sale, you can produce other trays. The egg cartons production line is environmental friendly which can make waste paper to achieve its great value. The automatic egg carton making machine has easy operational system and high efficiency. Firstly, reduce the manufacturing cost by continuous research and development. In order to reduce manufacturing cost of paper carton making machine, our elite engineers have been devoting their most of time to research and development new model of the machine. Now, we can manufacture the whole machine at a faster speed. 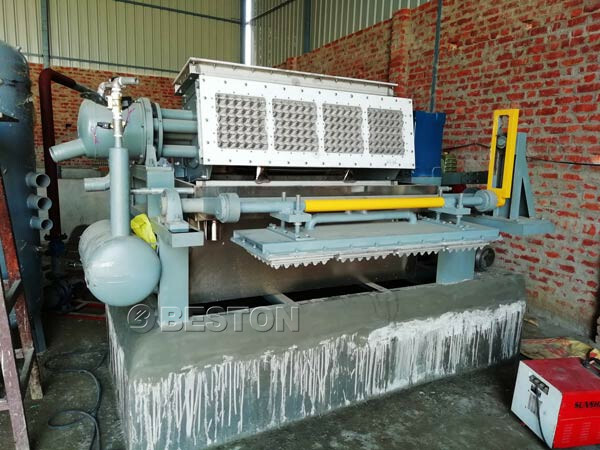 That is to say, compared with other egg carton forming machine manufacturers, we Beston Machiney have been greatly reduced the manufacturing cost. Secondly: same quality and lower price. As we all know that price and quality are interlinked. You can not just consider to buy the pulp molding machine with cheapest. You should put the good quality as the primary considerations. 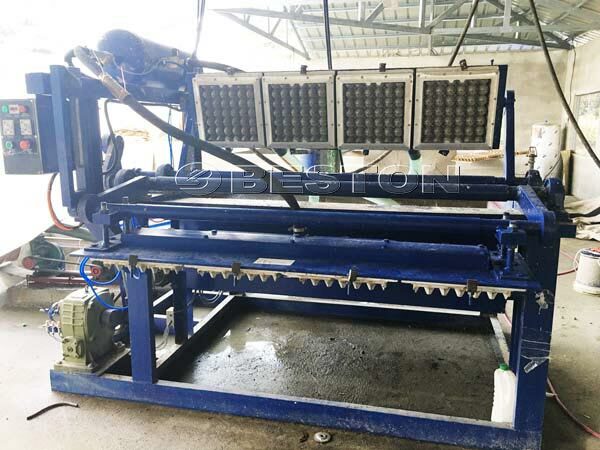 The egg carton making machine price of Beston Machinery may not be the cheapest one, but we promise you that our machine will have a longer service lifetime. 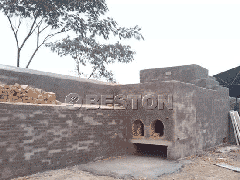 We Beston Machinery is a large enterprise which has established for over 20 years. The enterprise is a company integrating research and development, manufacture, sales and services. 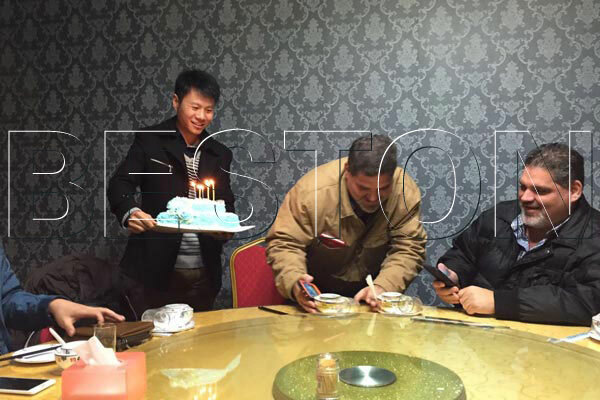 As one of the professional paper egg carton making machine manufacturers, we Beston machinery has the mature skill and abundant experience in producing paper egg carton making machine. 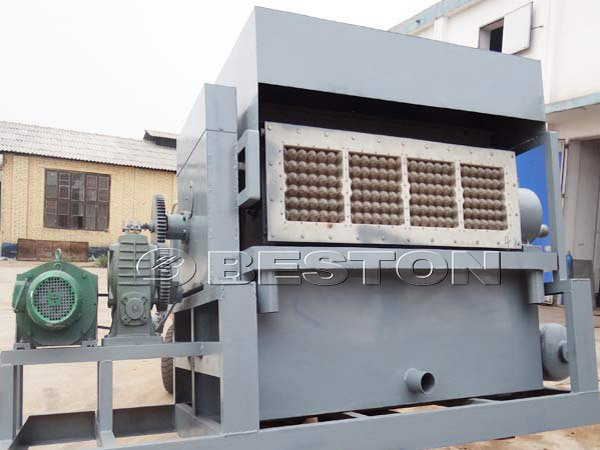 Beston egg crate making machine has been sold to many countries, such as Algeria, Egypt, Russia, Ukraine, Australia, Argentina, Brazil, Saudi Arabia, Libya, Syria etc. The egg box machine is highly appreciated by our customers not just because of the high quality and competitive price, but because of high efficiency and customize service. If you are fond of our egg box making machine and egg tray production line, just contact us! Don’t miss the chance of promoting the production efficiency of your company.